Garlic is one common food ingredient that you cannot live without and you need to peel it day in and day out. We encounter lot of people who do not know how to do it the right way and end up spending a lot of time doing it the hard way. Some people prefer buying packaged garlic paste but is that really healthy? Mixed with preservative, it can do a lot more harm to your body that you might have ever thought. It is always good to use fresh garlic that comes directly from the farmer, lesser carbon footprint and not at all processed by the machines. Some face trouble with the question of how to peel garlic cloves and here is a quick solution to stay fit with excess garlic use and save on time when peeling. You can peel an entire head of garlic in just few seconds, however even if you need few cloves of garlic there is something that can really help. It is the new innovation in kitchen accessories and it is called as the garlic shaker. Getting rid of the garlic peel has always been a messy endeavour and seems like complete waste of time. It also leaves a strong pungent garlic smell on your hands which gets hard to remove. 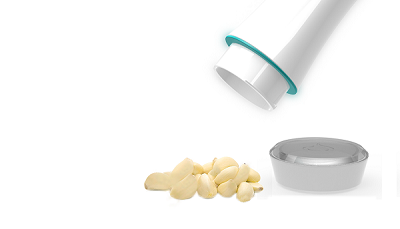 Garlic shaker has become a necessity that makes peeling garlic fun and easy. A quick shake can separate the skin and the garlic making the process 10 times easier for you with no smelling fingers and no messy kitchen. To peelgarlic quickly, all you need is to separate the garlic cloves and throw them in to the shaker. Close the lip properly and get started with the peeling process jus by shaking it any which way you like. You get clean skin free garlic cloves in just 30 seconds or less. This is a good looking effective machine that gives you ready to use garlic without much trouble of touching the garlic. The health and nutritional value of the garlic is not disturbed at all and you can use the shaker to peel a handful of garlic cloves at a time. Garlic shaker is a patent kitchen gadget that has proved to be a boon to many and it reduces your effort of peeling garlic to quite an extent. 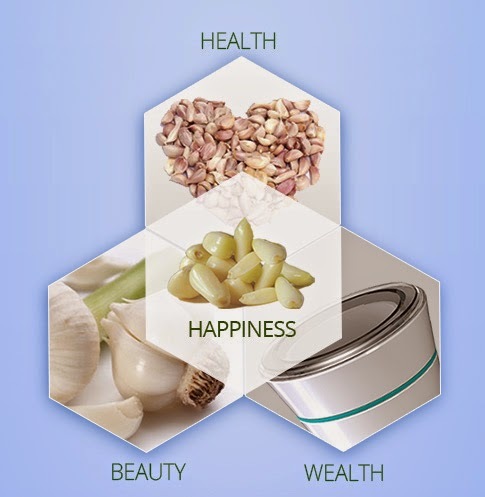 Now don’t find excuses for not using garlic or just walking into a store to buy packed garlic, use farmer fresh garlic and make the most out of it with garlic shaker. When the depeeled garlic cloves are poured out, is it mixed with the peels or do the peels get trapped inside?